The Fabian Law Firm has conducted thousands of closings since its inception in 1996 in the Atlanta metro area. These transactions range in size from the small $25,000 lot purchase to a multi-million dollar commercial transaction. It has been endorsed by several of the main title underwriters over the years and it proudly provides the same level of service to each transaction, regardless of its purchase price. In Georgia, the buyers/borrowers have the option of choosing the real estate closing attorney. More often than not, the buyers/borrowers are paying the closing attorney fee. Many of our clients are referred to us by our previous clientele. This is a great source of pride for us and we truly appreciate our clients. Leases are vital in dictating the rules and responsibilities of all parties in commercial landlord / tenant relationships. Commercial leases range in size from a couple of pages to several hundred, single-spaced. Knowing how to navigate through this maze of legalese is important. Negotiating seemingly minor provisions can save our clients a lot of money during the lease term. Should a dispute arise between the parties over the lease agreement, we are ready and able to take on the matter and represent our clients in mediation, arbitration or litigation, as the lease agreement dictates. There are times when landowners discover that there are title issues that prevent them from selling or mortgaging their property. These issues develop because of errors made in the chain of title from prior transfers, errors in the legal descriptions, probate claims, tax liens, just to name a few. Sellers of real property generally cannot sell their property without clearing these issues up. The Fabian Law Firm handles these matters regularly and has the expertise to track down and correct the problems that are encumbering the title of real property. Boundary line disputes generally come up when property owners are attempting to fence in their property or sell off parts of larger parcels that they own. Land surveys will discover boundary line encumbrances and infractions. A typical example is a client that unknowingly had a driveway going over their neighbor’s property. We work with all the parties involved, including the surveyor, and work out equitable agreements that rectify the situation. If an agreement cannot be worked out between the parties, we will then take it to the next level and commence litigation. The Fabian Law Firm is an excellent resource for clients needing contracts drafted involving real property ranging from sale/purchase of a residential home to the leasing of commercial space and everything in between. 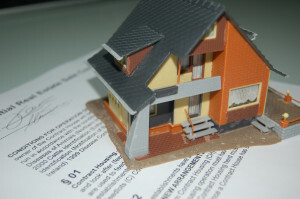 Real estate contracts are the backbone of these transactions. We ensure our clients that our contract drafting skills will save them a lot of time and money in the long run because we make sure that the rules and regulations governing the deal are set forth up front. In this way, there are no surprises that come up during the period of time covered in the transaction. Our contracts attempt to dictate and control various scenarios that may present themselves during the contract period giving our clients a sense of relief.